We have an extensive array of accessories to complete all of your metal building’s projects! 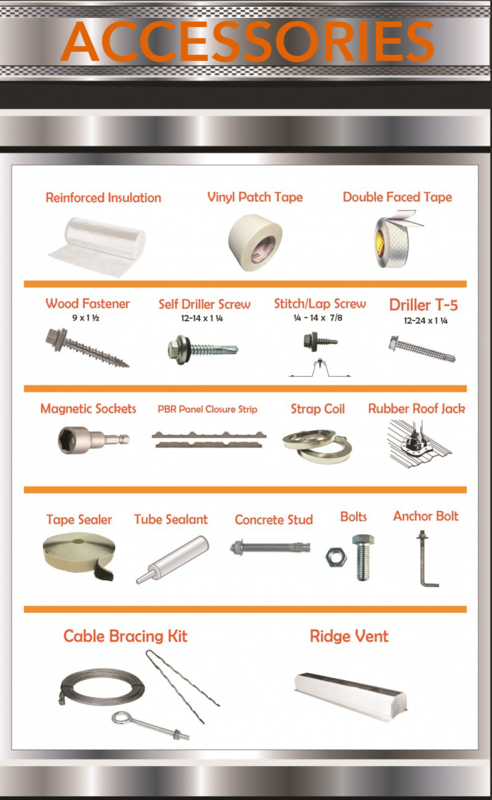 Some of the accessories we offer are reinforced insulation, wood fasteners, PBR – Panel closure strip, bolts an ridge vents, just to mention a few from our vast selection. Call us at 281 372 1313 and one of our representatives will assist you with all of your questions about our products and availability.